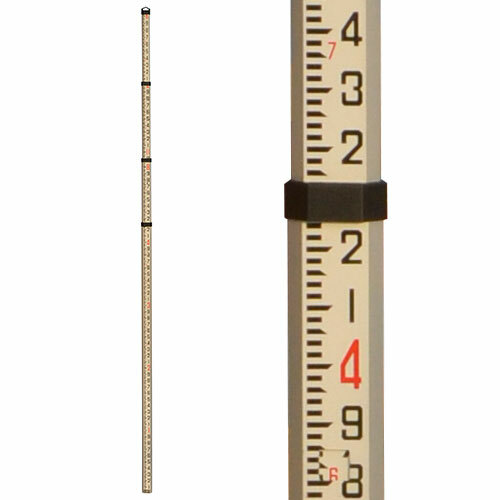 The Johnson Level Brand Aluminum Grade Rod collapses to 4 feet long. The Rod markings are in increments in feet/tenths on the front and feet/inches on the back. One year manufacturers warranty is included.